Online ordering menu for L’OVEN PIZZA. Locals and first timers alike have been "L'oven" L'oven Pizza for more than 25 years. Specializing in homemade Chicago-style stone-banked pizza, we at L'oven pride ourselves in making perfect pies for our customers and their families. We bake each pizza with all natural ingredients, fresh vegetables, lean meats, low moisture mozzarella cheese (granted daily), all on top of our fresh homemade dough. Order Online Today and try one of our house specialties like our Garden Pizza--made with Spinach, Mushroom, and Zucchini. Pair your pizza with some L'oven Chicken Wings or satisfy your sweet tooth an Apple Dessert Pizza and launch your taste buds into pizza paradise. 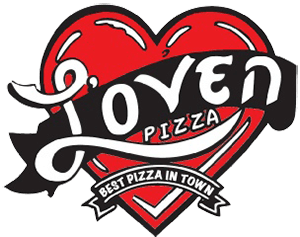 L'oven Pizza is located on the corner of Main Street and Heather Ridge Blvd. in the Heather Ridge Square Plaza.